In light of recent events in Upshur County in which the Upshur County Republican Executive Committee voted to remove the Upshur County Republican Chairman over alleged inappropriate behavior, the Republican Party of Texas requested a formal opinion from the Secretary of State Elections division to answer the question of whether or not there is a removal process in place for an elected county chair. Their answer is below. In short, there is no removal process in place and the parties may not create a rule for removal procedure. If a County Chairman is doing something wrong or doing something that Republicans do not like, the people of that county can just elect a new chairman at the next Primary Election. The SREC or the County Party can always pass a resolution stating that the actions of a county chairman are wrong, but they cannot remove an elected chairman. Please see the response from the Secretary of State below. Thank you for your e-mail. You ask whether there is a method under which a county party chair may be removed by the state executive committee or by a county executive committee. We do not believe so. The Secretary of State's long standing position has been that there is no means provided in the Texas Election Code (the "Code") to remove a county chair, as most recently expressed in the attached letter to State Representative Joe Farias concerning a similar issue with the Bexar County Democratic Party chair. This office may in past correspondence have acknowledged the role party rules generally play in political party affairs, but the Secretary of State has not to our knowledge stated that a county chair may be removed from office by party rule. Chapter 171 of the Code provides procedures for party organization including the process of filling county chair vacancies, while Chapter 172 provides the primary election procedures. As noted above, both chapters are silent as to removal of a county chair once the chair has been elected by party members of the county voting at the primary election. We note that there are no cases or Attorney General opinions directly on point on this subject. We suggest state law has in effect preempted the election process for the primary-holding parties, while the parties retain authority over the elements of their required rules as set out in Section 163.002 of the Code. A more recent example of this state authority is provided in Section 171.0251, which created a process by which a member of the executive committee called to active military service may appoint a replacement to serve on the committee during his or her time in active service. It is this office's position that in the absence of express authority under the Code, the party may not by rule create a removal procedure for county chairs. We hope that this information answers your questions. If you need additional assistance, please e-mail or contact the elections division toll-free at 1-800-252-VOTE(8683). The Secretary of State Elections Division - The SOS HAS NOT, to their knowledge, stated that a County Chairman may be removed from office by State Republican Party Rule! However, NOTHING is said about using RROOR, in which, the State Party HAS ADOPTED as its Rules of Order, and, underwhich it operates and DOES HAVE such a procedure! The Republican Party Upshur County used this procedure to "Oust" their Chairman and looks like the SOS and the State Party have been usurped by the ingenuity of their Executive Committee. Elizabeth Winn, Texas Secretary of State, says "that there is no means provided in the Texas Election Code to remove a county chair". However, Texas Election Code Section 172.055(d), does provide that the Executive Committee can remove a county chairman for failure to do a specific duty. This also implies that the Executive Committee can remove a county chairman for a long series of failures to perform his duties and malfeasance, as well as his repeated usurpation of the authority of the Executive Committee. The Sec. 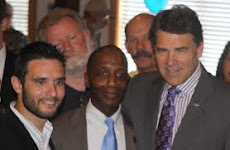 of State has failed to recognize that the local Upshur County Republican Party Executive does have INHERENT POWERS (Sec. 161.001) of the Texas Election Code and that the political party retains the inherent right to discipline its members, including removal of its chairman, through proper application of its own adopted disciplinary procedures. Thanks for the info Glenn!